The Berkley Institute for Islamic Studies (BLIIS) is based around the group of academics brought together in the preparation of Faith-based violence and Deobandi Militancy in Pakistan. Its mission is to encourage an interdisciplinary approach to the materials of Islamic history and thought and a pragmatic approach to foreign policy. Within the Islamic tradition, BLIIS promotes research on areas that have tended to be overlooked by Western academia; these include the intellectual and literary expressions of Islam in general, and Shi’i (both Imami and Ismaili), Ahmadi and Barelvi forms of Islam in particular. BLIIS seeks to counter the influence of decades of Saudi and Gulf funding on Islamic Studies and foreign policy discourses which have led to the promotion of the same narrow understanding of Islamic history and thought that lie at the root of DSW extremism. BLISS is organized on a hybrid model, functioning as both a research institute producing high-quality peer-reviewed scholarship and as a hub for inspiring policy solutions to the rise of DSW militancy and its religious narrative that has taken so much of the Muslim world by storm. BLIIS will also function as a digital academic institution for the study of Muslim cultures and societies, historical as well as a contemporary, and a better understanding of their relationship with other societies and faiths. Staffed by a small core team and supported by a pool of internationally renowned academics, BLIS’s structure means that it minimizes staffing and accommodation costs whilst maximizing research output and its impact. Offering correctives to both Orientalist and Fundamentalist readings of the religion, law, culture and history of the Muslim world. Inspiring US policy-makers with high-quality academic output on religious extremism and faith-based militancy designed to improve intelligence information on militant groups and their religiously motivated violence. Producing resources for journalists, legislators and members of the public to aid understanding of the drivers of religious extremism. Creating a high-impact academic institution where the nuance of historical Islam and its academic subfields – usually restricted to difficult to access academic journals and publications – is made public on a accessible and highly-visible digital platform. 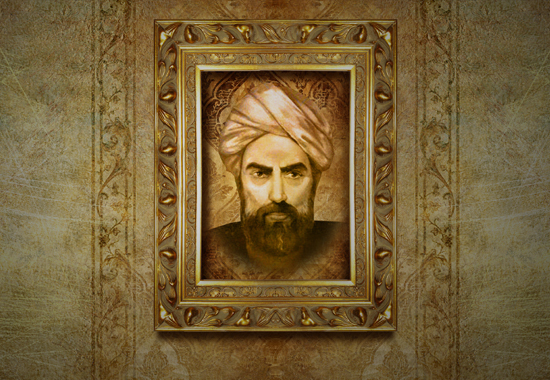 IFUT holds that such a historical, academic and nuanced approach to Islam in a highly accessible and highly visible digital platform is key for offering a corrective to mainstream biases against Islam as well as countering reductionist discourses of the religion that facilitate the faith-based violence of Salafi and Deobandi militants. BLIIS seeks to publish on all fields concerning Islamic studies, including gender & sexuality, theology, philosophy, law, legal theory, history and arts & culture.